6E00 is used as an independent safety system to ensure explosion protection. side to the protected side. Trim Material: Stainless Steel (1.4571) element. 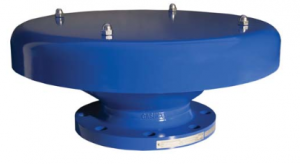 The Model 6E00 deflagration flame arrestor is a passive device with no moving parts. The flame cell element can be easily removed for inspection and cleaning in appropiate solvent solution. connections to EN1092-1 PN10, ASME B16.5 150#RF or JIS B 2220 10K.